1st On-Card Autos of the 2018 NFL Rookie Class! Look for Gun Metal 1-of-1 Auto Jerseys! Barkley, Darnold, Rosen, Allen, Mayfield RC's! 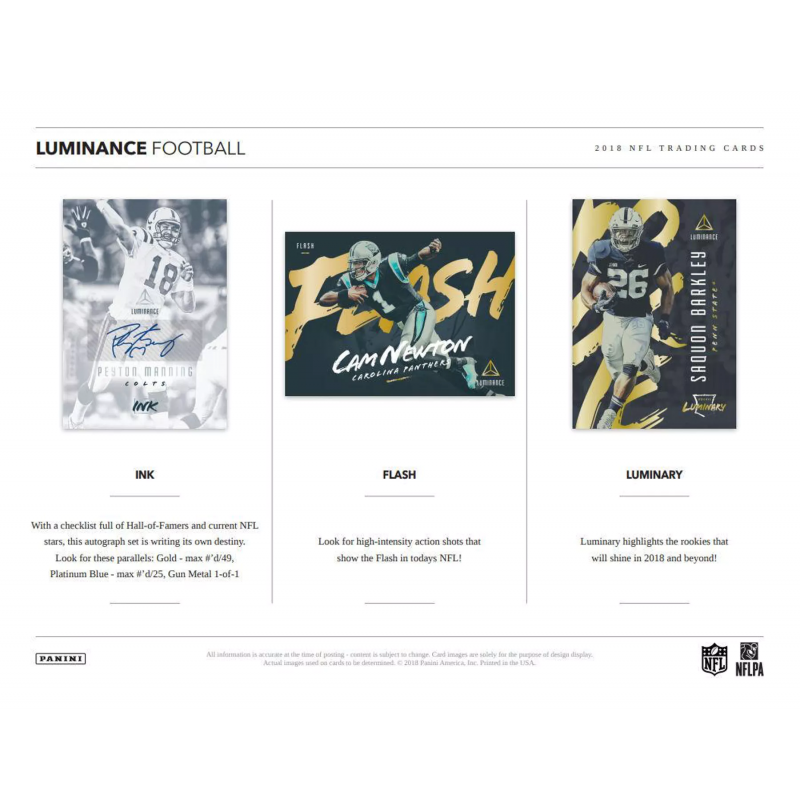 Full action photography spills off the edge of this border-less base design highlighting veterans and rookies with their newly drafted NFL team! This autographed card deserves the Spotlight! This design uses foil to shine a spotlight on the players jersey number and name. 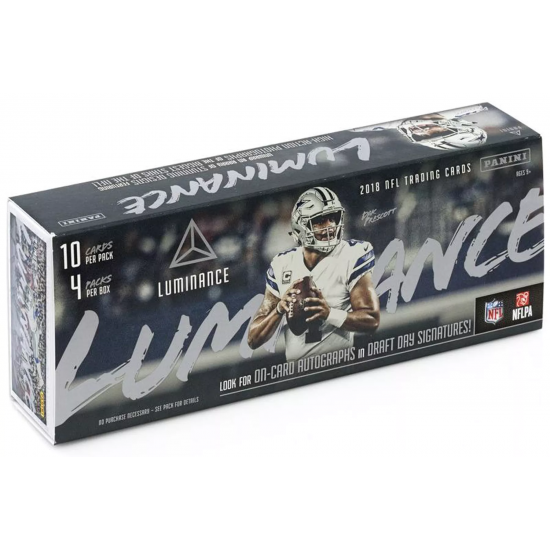 Luminance Football delivers the first on-card rookie autograph set of the season in Draft Day Signatures! This sharp, new design showcases the top rookies of 2018 with white, gold and silver ink variations! 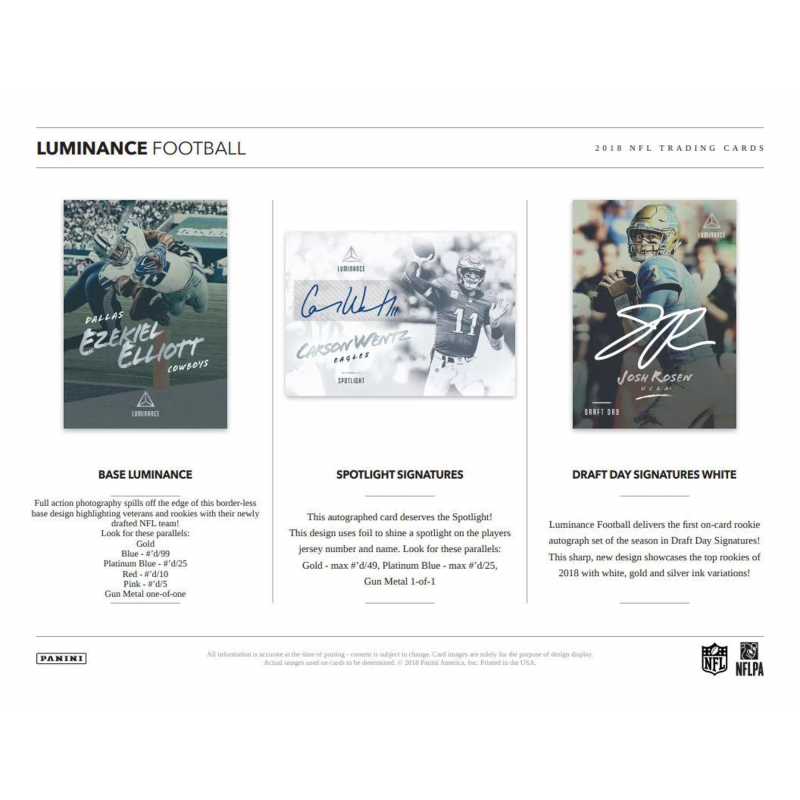 With this design, Rookie Ink put the emphasis on the autograph. 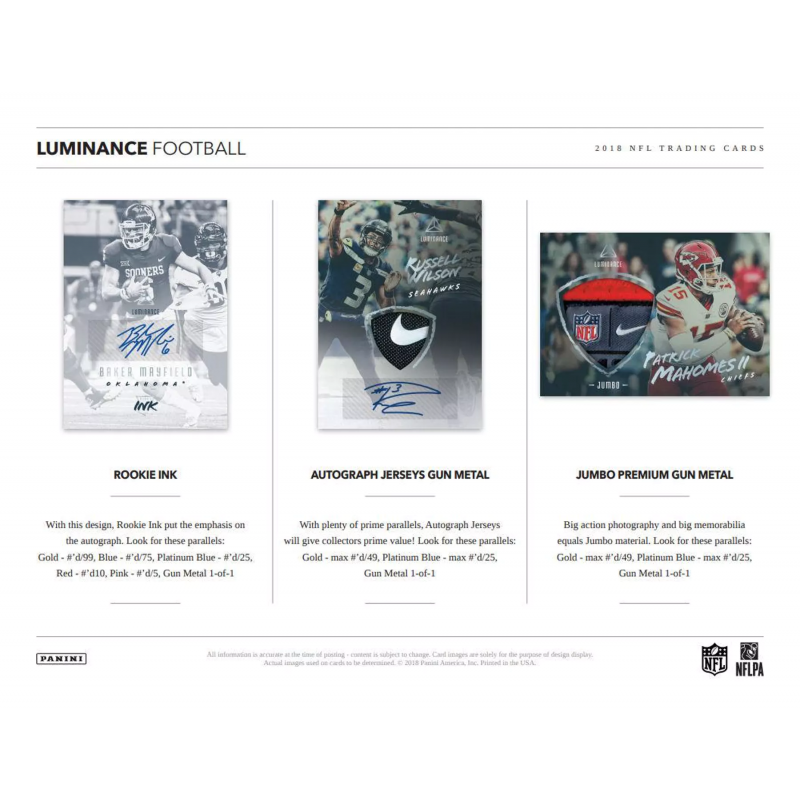 With plenty of prime parallels, Autograph Jerseys will give collectors prime value! Big action photography and big memorabilia equals Jumbo material. 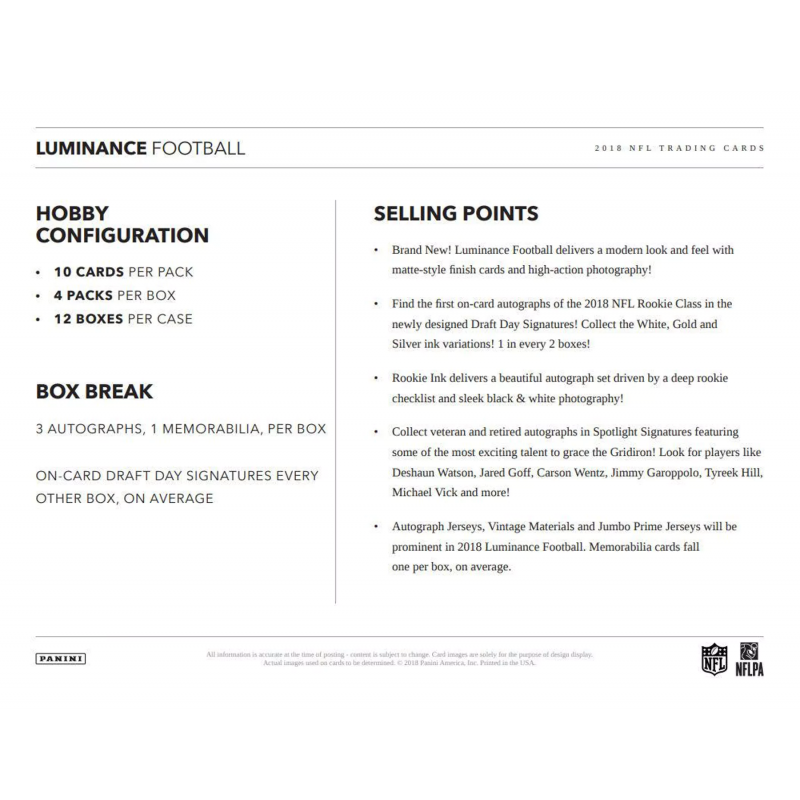 With a checklist full of Hall-of-Famers and current NFL stars, this autograph set is writing its own destiny. Look for high-intensity action shots that show the Flash in todays NFL! 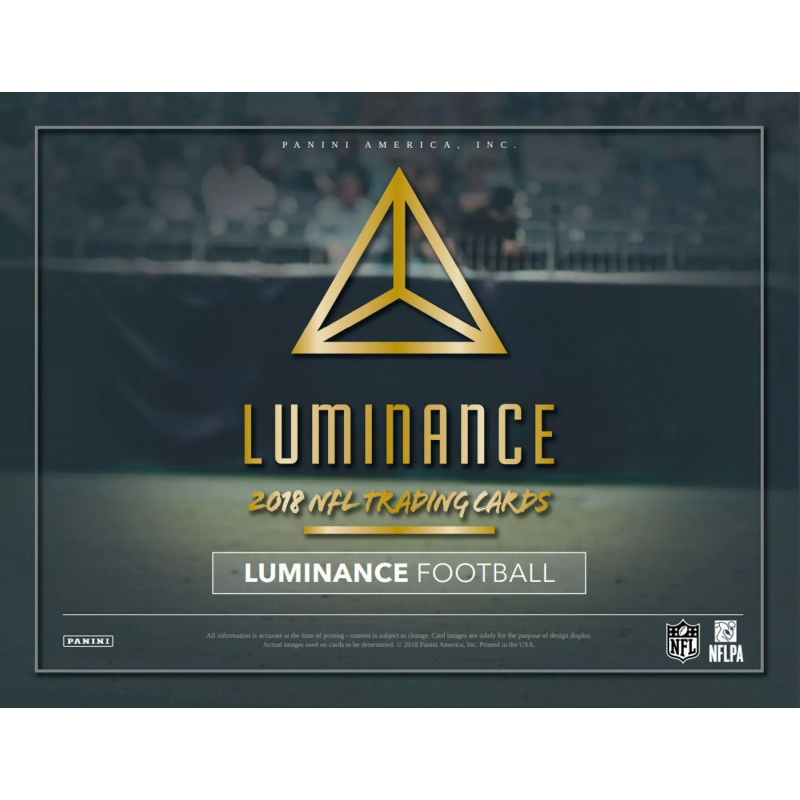 Luminary highlights the rookies that will shine in 2018 and beyond!